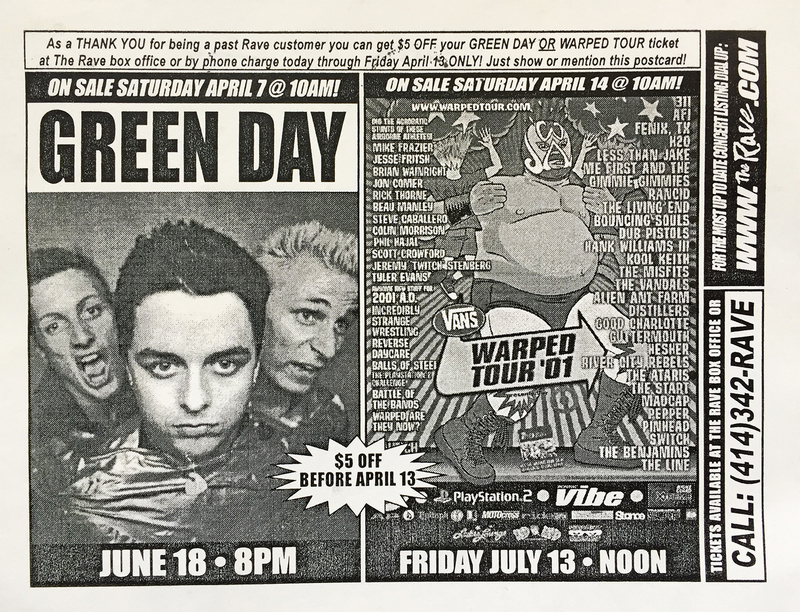 Ok, so yesterday was showcasing an event from 2000, so let’s wiggle ourselves up just a year for the 2001 Vans Warped Tour. 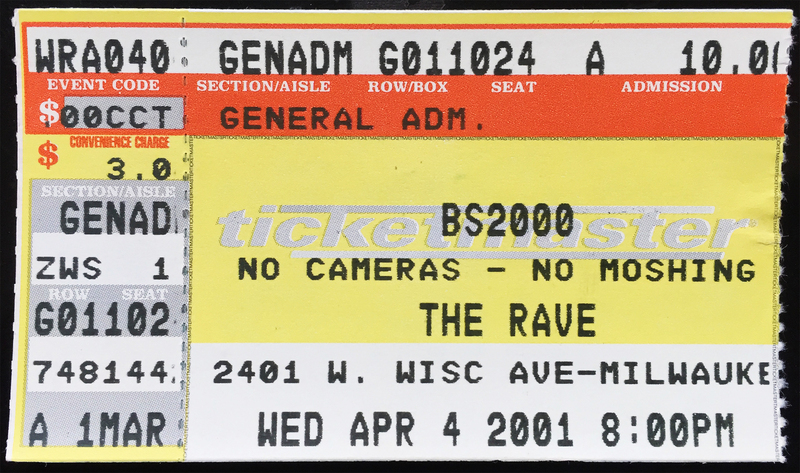 Featured (in Milwaukee) at this event were The Ataris, Pinhead, Guttermouth, The Vandals, The Misfits, Kool Keith (yes, THAT Kool Keith), Hank Williams III, Bouncing Souls, Rancid, Me First and the Gimmie Gimmies, AFI, 311, and of course, no early 2000’s riot event is complete without Less Than Jake. It was a-hell-of-a-lot-of-fun, as you can imagine, and I’m happy to have held on to this little piece of personal, entertainment history. The words “Joe” and “Strummer” have always been synonymous with “inspirational” and “brilliance,” yes, even dating back to his 101’ers days. This Turkish rock God, originally christened John Graham Mellor, headed the phoenix rise and fiery fall of The Clash, dabbled in a bit of soundtrack work, sang a duet of Redemption Song with Johnny Cash, and during his untimely death, helmed the magnificent Joe Strummer & the Mescaleros. 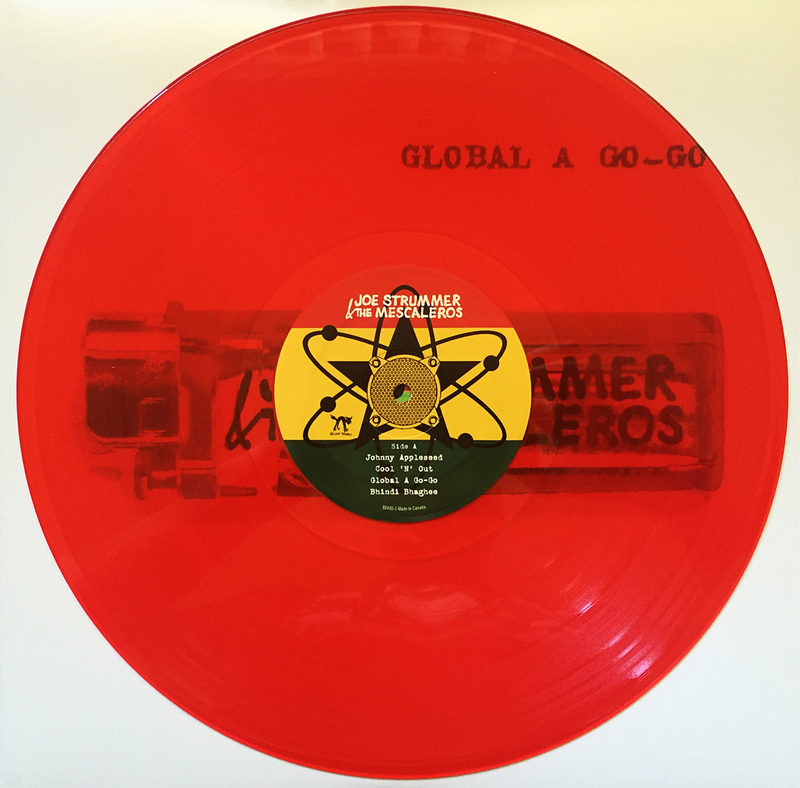 Global A Go-Go, the band’s 2nd offering, can be best described as emotional, acoustic punk for the retired generation too set in their ways to set down the bottle or empty the overflowing ashtray. 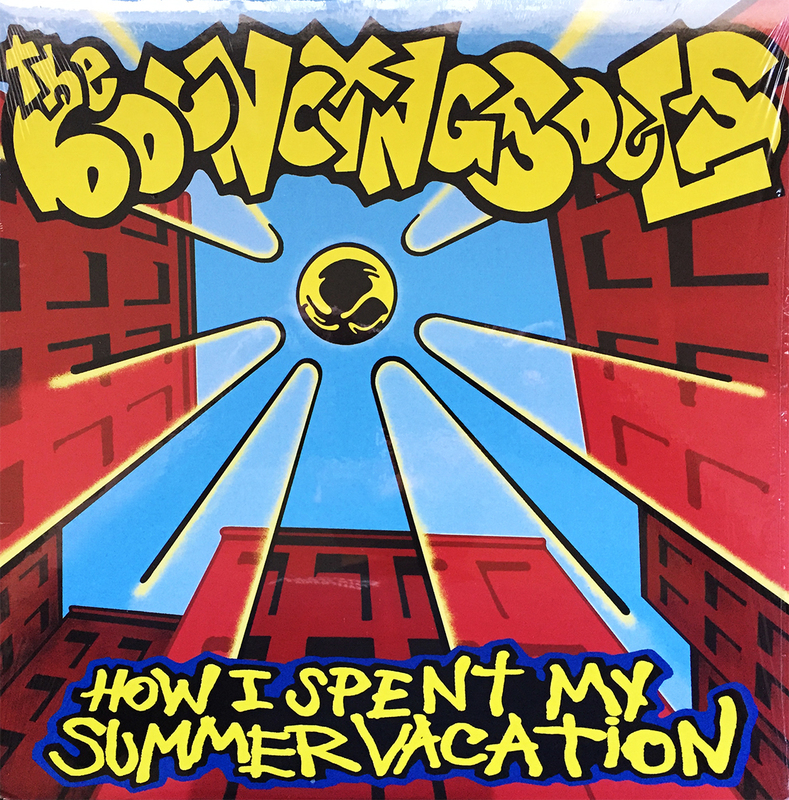 It’s greasy-haired adult contemporary with a twist of stubborn jam-rock, but with decades of recording history under its belt. 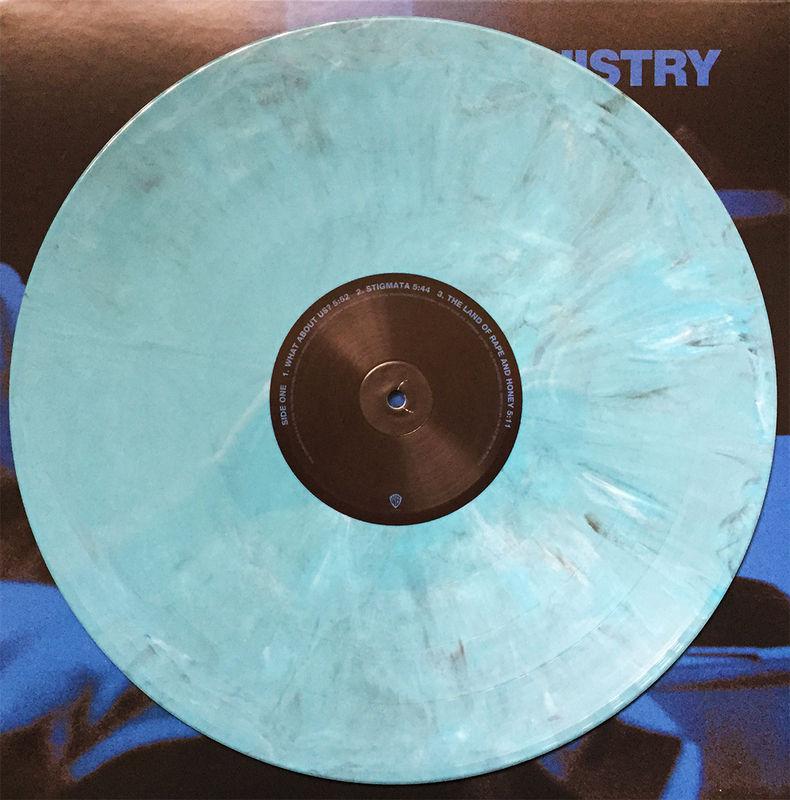 It’s heavily layered, often rambling (in a good way), and demands constant and consistent spins. 50 is a frighteningly young age to die. Joe Strummer, and his creative brilliance are greatly missed.